Made by Abdi Ibrahim Tiromel is a synthetically manufactured prescription thyroid hormone. Made by Abdi Ibrahim Tiromel is a synthetically manufactured prescription thyroid hormone. 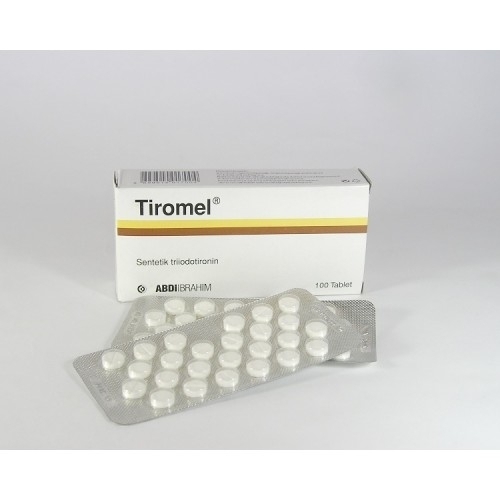 Tiromel by Abdi Ibrahim is used medically to treat hypothyroidism, a condition where the thyroid gland does not produce sufficient levels of thyroid hormone. 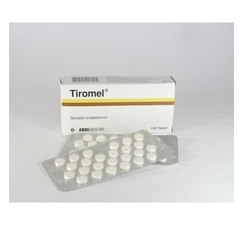 T3 is the most active thyroid hormone in the body, and consequently Tiromel by Abdi Ibrahim is considered to be a more potent thyroid medication than levothyroxine sodium (T4). Athletes like Tiromel by Abdi Ibrahim for its ability to increase metabolism and support the breakdown of body fat. Some Bodybuilders also ascribe an ability of thyroid hormones like Tiromel by Abdi Ibrahim to increase the anabolic effect of steroids. The dosage of Tiromel by Abdi Ibrahim to accelerate fat loss involves initiating its use of 25 mcg per day. This dosage may be increased by 25 mcg every 4 to 7 days, usually reaching a maximum of no more than 75 mcg per day. In the Cycles with Tiromel by Abdi Ibrahim must be usually no longer than 6 weeks, and administration of Tiromel by Abdi Ibrahim should not be stopped suddenly.